Minimum order 5.14 m2	Why? 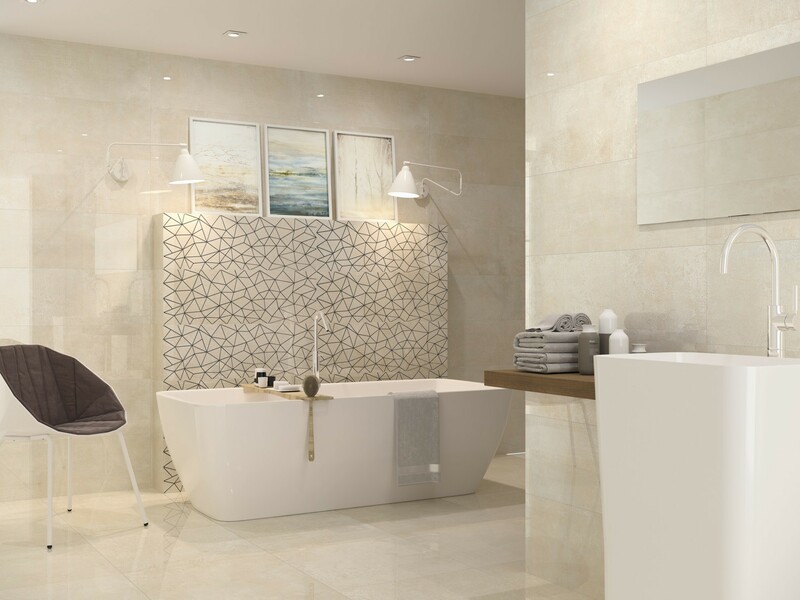 Timeless Sand is a large format high gloss beige ceramic wall tile. This range of tiles is extremely stylish and incredibly versatile as this would work well in a modern home or a more traditional property. With rectified edges this creates a smooth, minimalist approach to whichever room these are used in. Suitable for bathroom walls, kitchen walls and en-suites, these ceramic gloss tiles are amazing and use with the Hannie wave decor to make a feature wall. Light coloured gloss tiles are a great idea for use in small rooms as they help to keep the light reflecting around the room and keep a small area feeling spacious. These tiles do not need to be sealed and are simple to clean using a microfiber cloth. Also available in white and can be used with the Hannie decor tile.